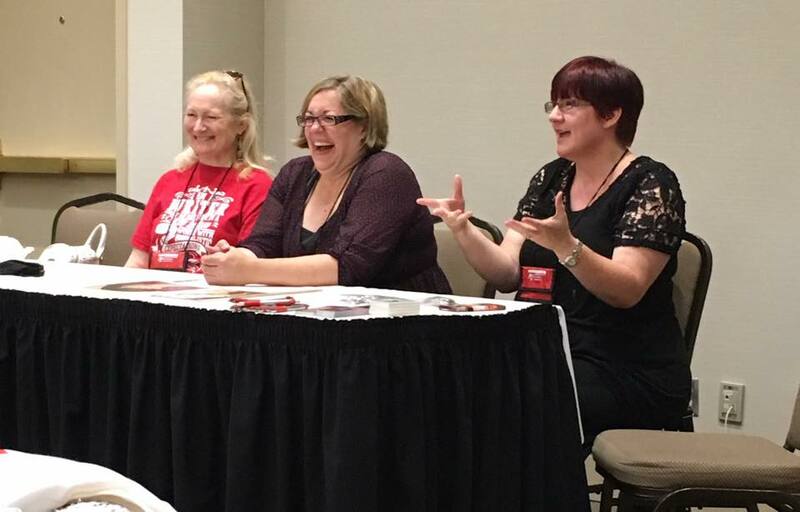 In 2017, the third annual RTC, we again had Thursday afternoon writing workshops, Thursday evening reader events, a full day of panels and fun events on Friday, and a morning of fun events on Saturday. A great new addition to the huge Saturday afternoon book signing was the Chapters / Indigo onsite mobile store. Our Friday dinner was themed “Heroes vs. Villains. The large ballroom had dinner, a costume contest, and a dance party sponsored by Milly Taiden, Elle Rush, Sheri Lyn, Sharon Hamilton, Cat Johnson, Anne Lange, Susan Hayes, Violet Vaughn, Eliza Gayle, Barbara Devlin, Desiree Holt, Susan Stoker. Zoe York sponsored dinner and book-boyfriend inspired games and prizes in the small ballroom. 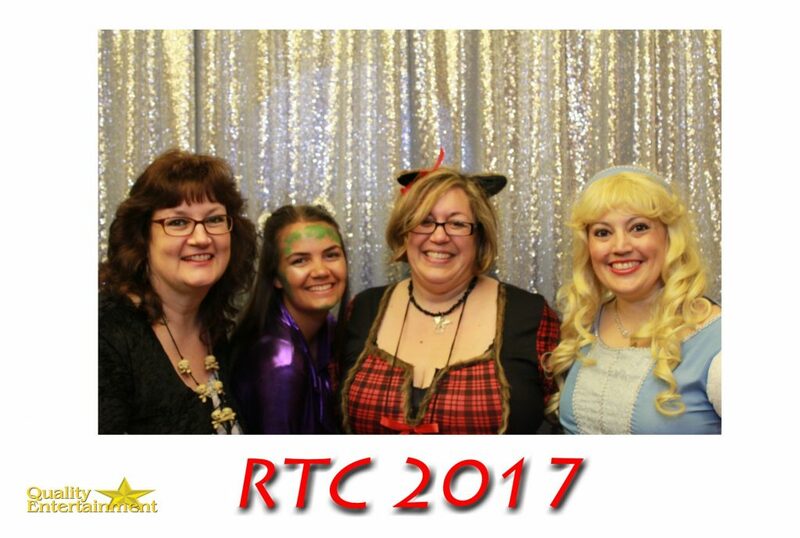 Saturday night was the Fairy Tale Monster Bash – laughter dancing and fun (including photobooth in the hall), sponsored by Robyn Peterman, Coreene Callahan, Darynda Jones, Milly Taiden, Heather Long, Cynthia St. Aubin, and Eve Langlais. Viola Grace sponsored the small ballroom and hosted dinner with fairy tale trivia, chatter, and games. 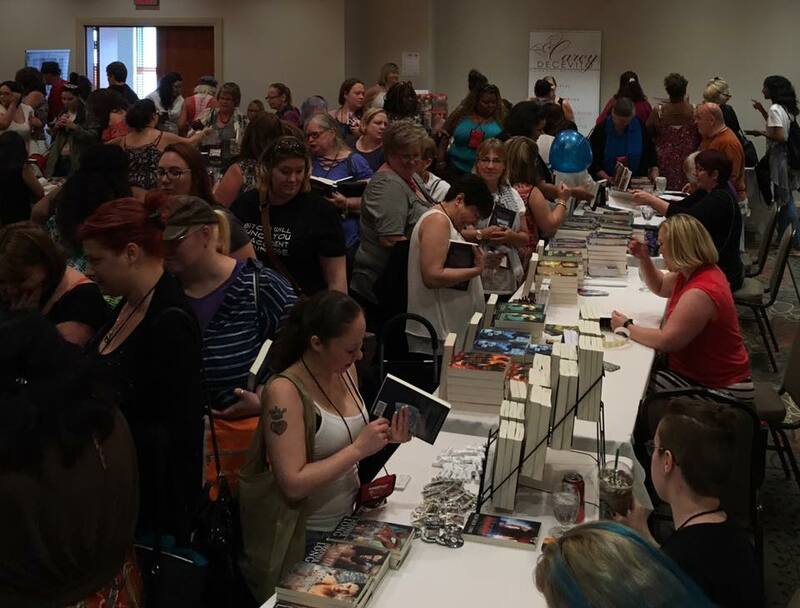 All readers received swag bags stuffed with goodies, including Katie Ruggle’s paperback, Hold Your Breath, sponsored by Sourcebooks and Raincoast Distribution. Click the arrows to see more photos, or click the album to see them on Flickr.